Roberto Mancini’s preference to sell Carlos Tevez, rather than loan him out, looks to have put Tottenham Hotspur in the driving seat to obtain the player’s signature in a £20million deal. AC Milan have long been admirers of the diminutive forward, but are unwilling to meet his astronomical wage demands, instead hoping to take the player on loan. Fernando Torres’ reported availability has now alerted the Italian giants too, and they could turn their attentions to the Spanish striker to enhance their attacking options instead. 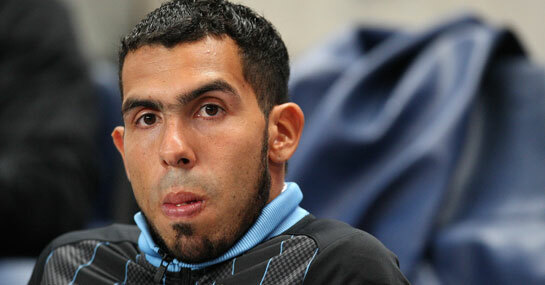 Meanwhile, whilst Harry Redknapp would be reluctant to shell out the £198,000 per week that Tevez makes at Manchester City, it is thought that he, along with chairman Daniel Levy, have accepted a marquee signing such as Tevez would almost guarantee Champions League qualification, and so it could be a risk worth taking. Of the main potential stumbling blocks to the deal, there is the fact that Spurs have become one of the main challengers for the Premier League title, and with Emmanuel Adebayor already featuring for them on loan from City, Mancini will be reluctant to further strengthen the charge of a fellow serious title contender. Along with this, Carlos Tevez has on numerous times outlined his desire to move abroad and nearer to his family, so would in theory prefer a switch to a continental club in closer proximity to his native Argentina. That said, following the cooled interest of Brazilian outfit Corinthians, and the comparatively moderate resources of the majority of clubs in South America, it is difficult to envisage any one club possessing the financial might to attract Tevez. Oil-rich Paris-Saint-Germain maintain a firm interest in the striker, and as Tevez has reportedly stated he would be willing to listen to offers from European clubs like AC and Inter Milan, it would not be the biggest surprise if he eventually did move to a fellow European side.